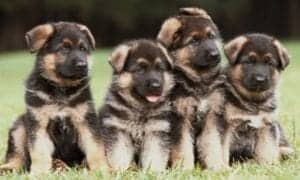 The titles on this page are used by German shepherd dog clubs and show ring organizations to assign categories to the German shepherd and to reward German shepherd owners, breeders, and their dogs. CD: Companion Dog – The first of five working qualifications, each of increasing difficulty, awarded to dogs gaining a certain percentage of total marks at working trials. FH: Fahrtenhund – Tracking qualification. 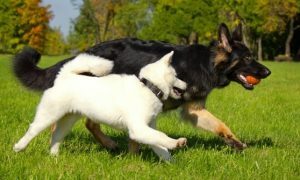 Gebrauchshundklasse: Working Dog Class – The only class available for animals over two in Germany. 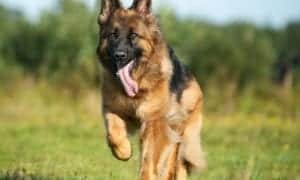 HGH: Herdengebrauchshund, Herding Dog – A qualification of dogs working with flocks. 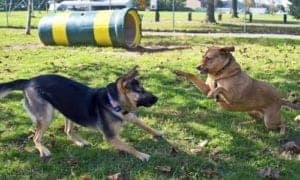 SchH1: Novice Schutzhund – Qualification in tracking, obedience, and protection. 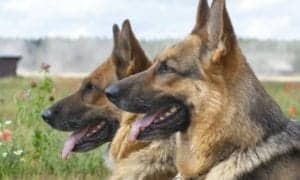 SchH2: Intermediate Schutzhund – Qualification in tracking, obedience, and protection. 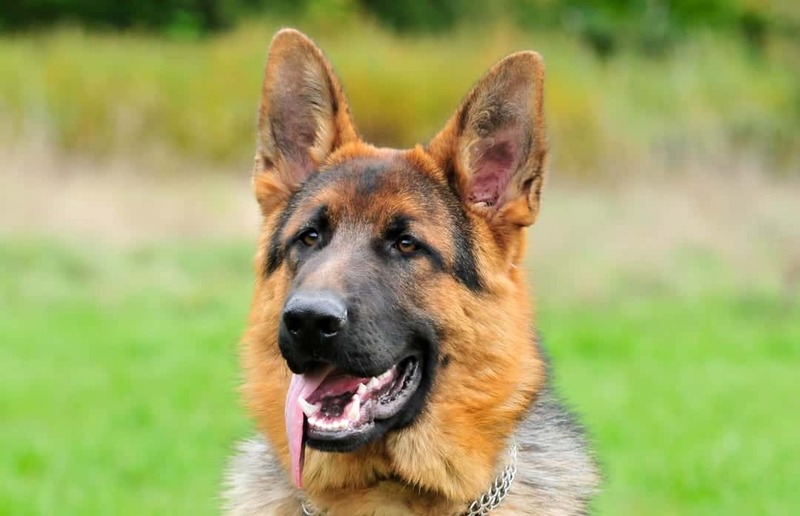 SchH3: Masters Level of Schutzhund – Qualification in tracking, obedience, and protection. SchHA: A Limited SchH Title – Similar to SchH1 but without the tracking portion. TD: Tracking Dog – Qualification title for nose work. ZH: Zollhund – Dog trained to work with customs police. VA – Vorzuglich Auslese: Excellent Select – the highest attainable award by a German show dog and granted only at the annual Sieger Show. 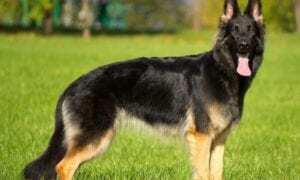 SG – Sehr Gut: Very Good – An official German show grade and the highest obtainable by dogs under two. Juguendklasse-ruden: Youth class for males of twelve to eighteen months at German shows. Sieger or Siegerin: Title given to the top Male and Female at the German National Show. Weltsieger: World Sieger title awarded to the top dog at the FCI All Breed Show. Bloodline: Animals sharing a specific family relationship over several generations. Croup: The pelvis together with the covering of muscle and coat. Dew Claws: Additional toes on the inside of the leg above the foot and making no contact with the ground. Many puppies are born without them on the rear legs. 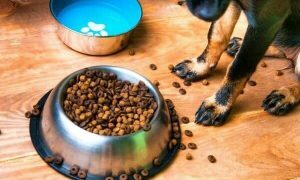 KKLI: Korklasse I – Breed surveyed recommended to breeding, Koer Class rating which states that the dog has been breed surveyed and found to be breeding quality. KKLII: Korklasse II – Breed surveyed suitable for breeding. Korung: German breed survey to select animals for breeding – Class 1 animals recommended, Class 2 animals suitable. Penn HIP: Developed at the University of Pennsylvania (USA). The procedure measures hip joint laxity; it does not grade a passing or failing score. 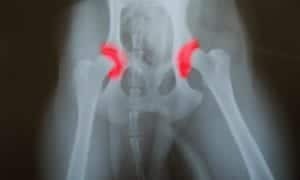 Loose hips are more prone to developing a degenerative joint disease. (See OVC, OFA, “a stamp”). Sable: A gray, brown or fawn foundation color with black shaded guard hairs (Wolf like colorings). 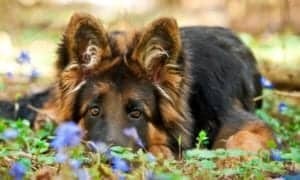 SV: Schaferhund Verein – GSD Society of West Germany. ZW Zuchtwert: ZW Value, Zuchtwert Evaluation – A Breed Value Assessment, a number assigned that gives an indication of the genotype of the dog for breeding purposes.